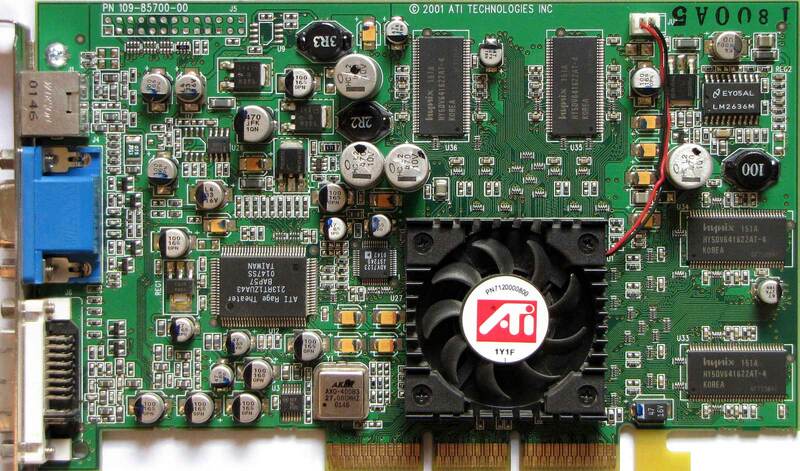 Card is based on R200 core, having mostly 64MB memory on 128-bit bus. 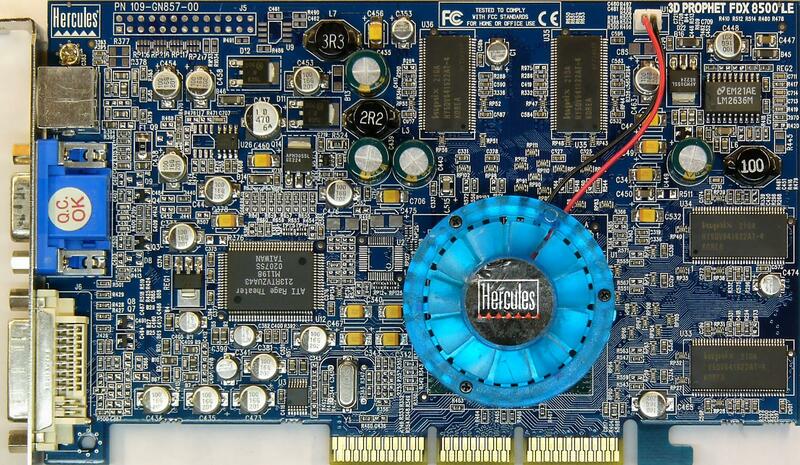 Later 128MB cards were on market. 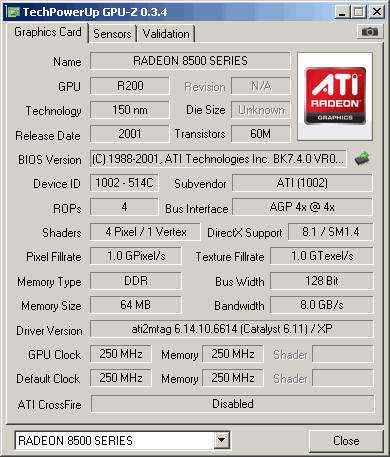 Card was easilly overclockable to 300MHz on GPU and memory chips up to 595MHz according to some people. 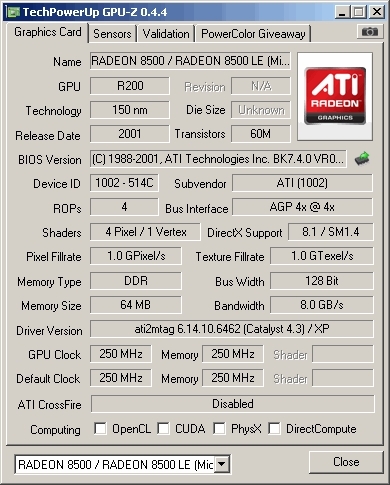 I tried only 300MHz on core and 520MHz on memory chips, it worked stable. 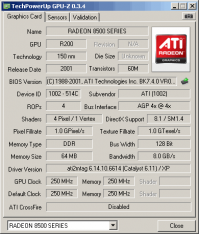 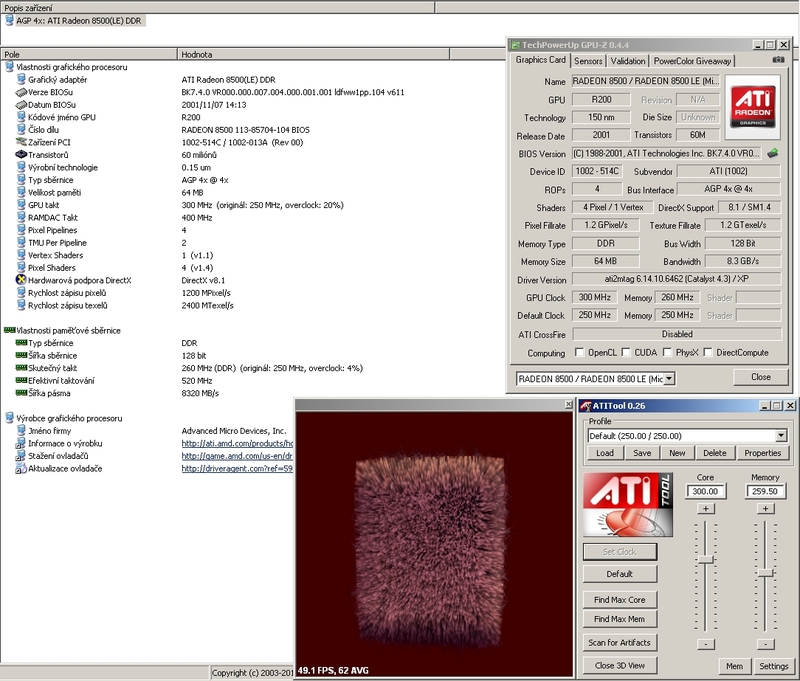 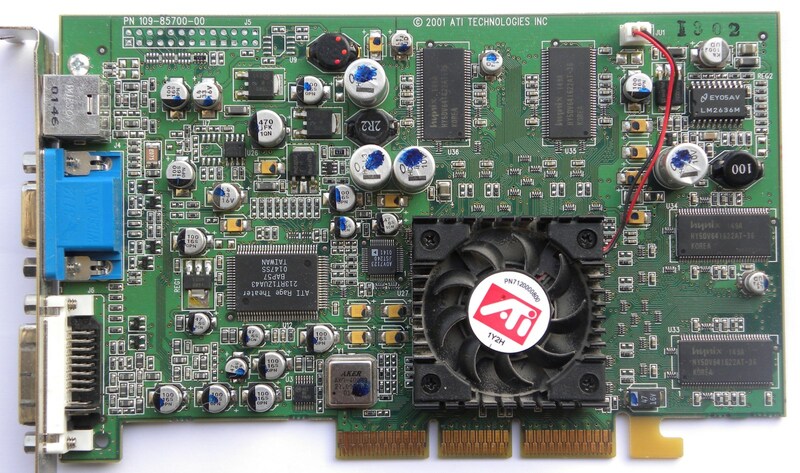 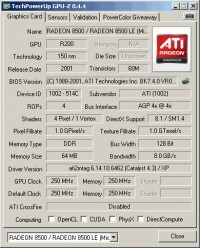 ATi Radeon 8500 LE - This is reference card. 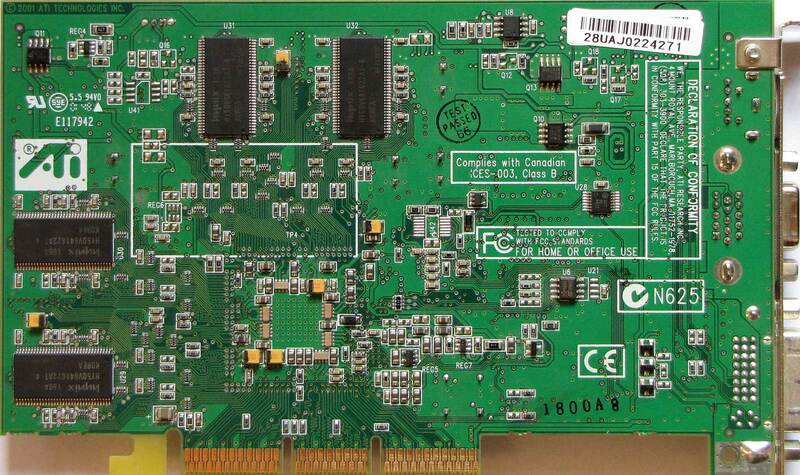 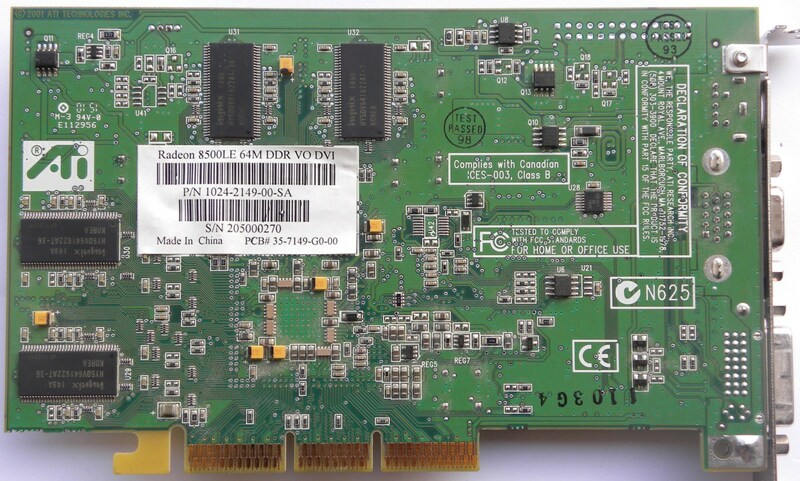 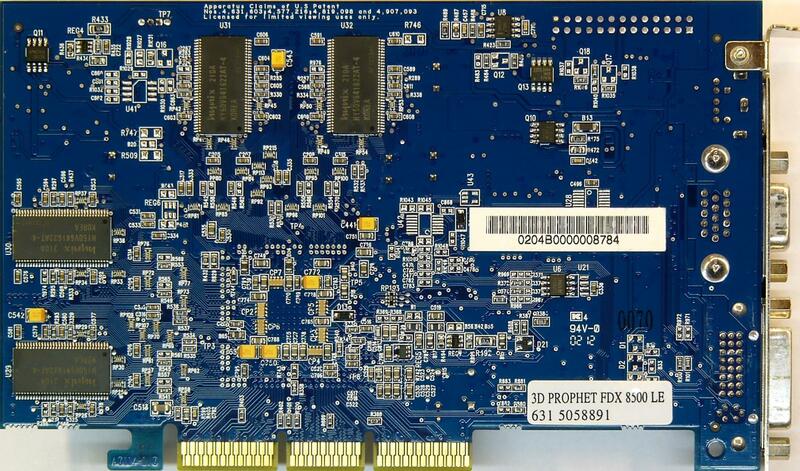 Hercules 3DProphet FDX 8500 LE - This card has downclocked memory chips to 476MHz effectivelly.